Also known 'Lassiandra' or Princess Flower. This is an evergreen shrub with large fuzzy leaves. 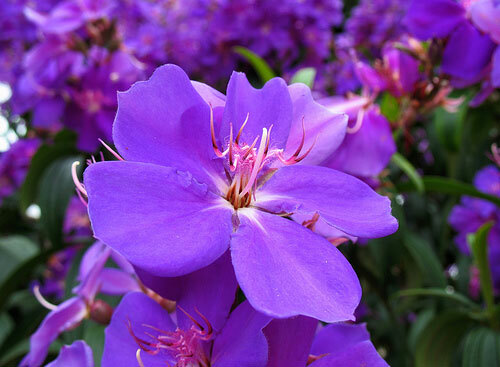 In Summer to Autumn, beautiful purple flower heads with pink stamens flower. Full sun to part shade. Must be protected from severe frost.